Home / fujifilm / Personal / technology / An Inquiry: Is the Fujifilm X-A5 a Good Buy For Someone Who is on a Tight Budget? An Inquiry: Is the Fujifilm X-A5 a Good Buy For Someone Who is on a Tight Budget? To be honest, I have not owned any camera yet in my entire life. I have used some, for sure, but owning one, has never happened, at least yet. All of the personally taken photos and videos I posted in this DugomPinoy blog and in my YouTube channel so far were all captured using different smartphones. One of the main reasons for not having one all this time is of course the pricing. We know that cameras are not really that inexpensive, at least that's the way I see it. And in today's smartphone camera offerings, many devices can offer great photography capabilities for a much cheaper investment. Currently I use the Huawei Nova 2i which I bought in November of last year which in terms of overall performance and photo qualities, I am very happy with. But now I wanted something more. I want to capture more photos and videos using a non-smartphone camera this time. While there are a ton of options for camera devices in the Philippines right now for bellow Php35K mark, what I am leaning towards is the Fujifilm X-A5. Do you think that's a good choice for a beginner and a budget-conscious user like myself? So why a Fujifim camera, an X-A5 to be exact? Well, aside from almost all of my fellow Davao Bloggers Society members use a Fujifilm-made camera, it is because one of my teammates from work just recently bought a Fujifilm X-A3, like literally over a month ago. So being a teammate, I had the opportunity to try the camera out taking photos of her and the team. To make a long story short, I fell in love with how great photos and videos that Fujifilm X-A3 camera can produce compared to smartphones' I have used. And she got it for around Php22,000, because of the Kadayawan Festival promo at the time. And so I guess, for a camera that is priced Php22K and based on my personal experience with it, it's a good steal already. I need to say though that I am not very good at photography, let alone camera specs, features and their functions, I guess that's already a given one since I have never owned a camera myself up until this time. But comparing the photos I personally took using that Fuji camera versus photos I have been taking using any smartphones since I started this blog, I can safely say that I can definitely bring my humble photography skills to a whole new level using a camera device. So needless to say, since using that Fuji camera, I started reading articles and watching YouTube videos on these entry-level cameras, and time and time again, I always find myself wanting to own a Fujifilm camera device more than any other. Specifically, I am torn between the X-A3 and the X-A5. Of course, the X-A5 is much better than the former being its direct successor. But currently, there is a price difference between these two of about Php10,000. Last time I checked, X-A3 is priced around Php24,000 while the X-A5 at Php34,000. Is the additional pesos worth the pay? There are a couple of things I like about the Fujifilm X-A5 over the X-A3 such as autofocus, 2.5mm micport, new kit lens, new sensor, and more. Autofocus is one of the issues I encountered using the X-A3. Not that it is terrible though, it was just a bit slow in focusing. Maybe because I am not really familiar with that device or what, but according to reviews I have seen and read, I am not the only one noticing it. 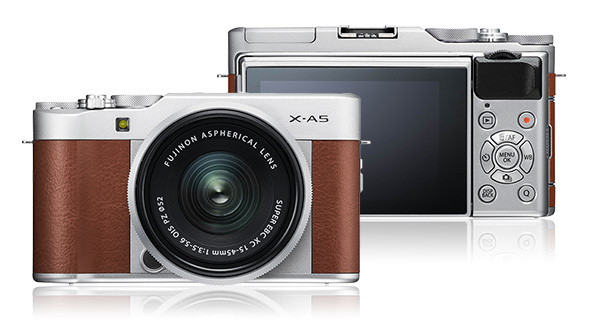 In X-A5, Fuji has improved that functionality. The company even claimed it is the first X-A series to sport phase detection autofocus, which means an enhancement over its predecessor in the line up. Another thing I liked about the X-A5 is the inclusion of a 2.5mm audiojack, the X-A3 does not have one. I maybe using this particular feature for doing video blogs for my YouTube channel. Though I am not that focused yet into vlogging or creating videos for the channel, But I am currently considering it, so having microphone port on the X-A5 is a huge plus, I guess. Some reviews I have seen say the built-in mic on the X-A5 or X-A3 are already good enough even for outdoor recording. Up to this point, I am still confused which of the two to get or if I should consider looking at cameras from other brands within the same price range. What about you guys who are familiar with cameras, especially with these two here, which one is much better to get in terms of the budget-performance combo? Or can you also suggest other cameras that I should check out? Things I look for in a camera.